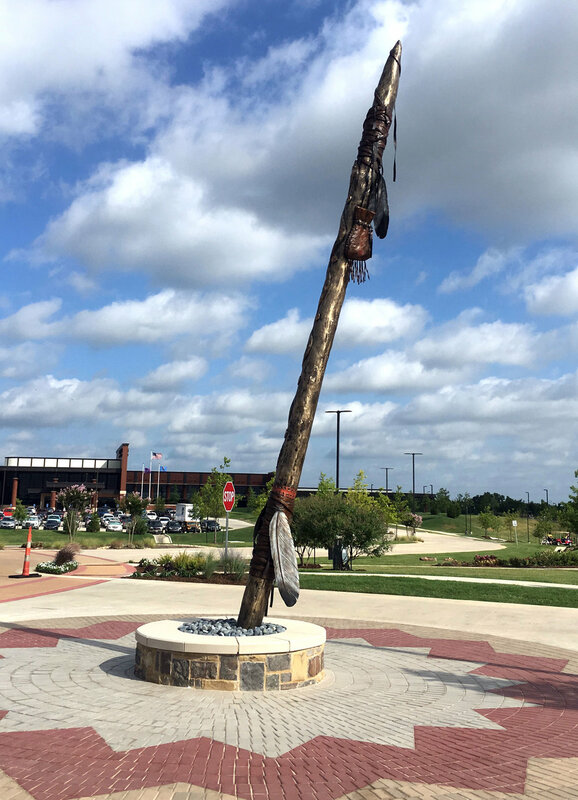 There are 2 25' tall sculptures placed at the entrance of the Choctaw Tribal Headquarters in Durant, OK, sculpted by Chocktaw artist, Jane Umsted. 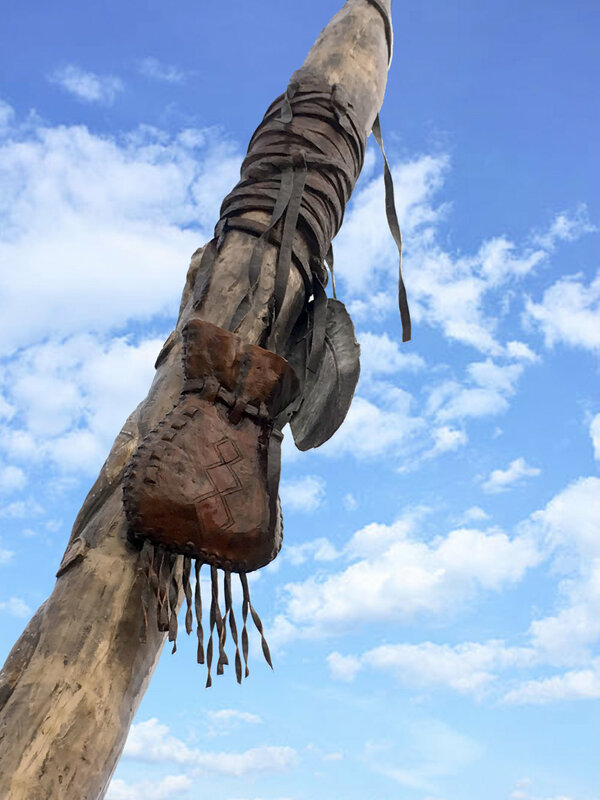 Sacred Journey” and “Sacred Vision," together represent the continuing journey of the Choctaw Nation of Oklahoma. And they harken back to the legend of the time when the Choctaw and Chickasaw tribes were one tribe. Each tribe having its own individual version of when the tribe became separated. 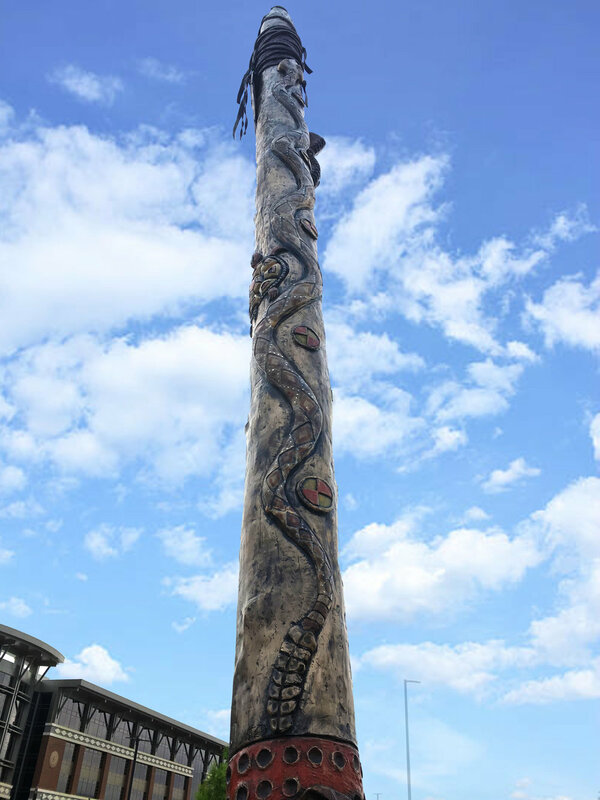 On each sculpture there is a symbolic rattlesnake, medicine bag, diamond images, eagle feathers, and “Luksi”(turtle in Choctaw) thumbprint circle of life, and directional circles. It was an absolute joy working with the kind, gracious, and very talented Janie Umsted. (Left)Janie working on the original clay sculpture. (Right)Janie and the Nation's Chief greeting the Sacred Poles on Install Day!